The currency pair opened up the market with a bullish candlestick but after its four-hour formation started falling to the support price line at around 1.1654. After a while, price strived to push upwards towards the first immediate resistance found at 1.1750. Soon afterward, the pair started reversing again with a formation of a top shadow Japanese candlestick and three top shadow Japanese bearish candlesticks and those formations eventually led pair to be driven past the last support line to find another support at 1.1620. The assumption remains that in the next trading days, decent bearish entries are most likely to be favored. This currency pair opened with a bearish Japanese candlestick within its four-hour trading period. The next candlestick formation, made the pair to see different of upward movement corrections that have now created first resistance at around 0.9980. The last support is located at 0.9900. The pair seems to have made the two levels its trading confinement area for now. As a result, the bias in this market is neutral. Nevertheless, the strong probability is been put in the southbound movements of this pair. The bias is neutral in the short-term, but bearish in the long-term. Some months back, this pair was seen trying to break past the strong resistance of 1.4380 in the long-term trading chart. But in April, it clearly resumed a decline until now. This week, it opened with a bullish candlestick, and a few hours later, it started reversing southbound in other to prepare a grand to locate a genuine resistance level at 1.3215 of the market. It has now been closely observed that bullish reversal movements are making better entries for the bears to come into play in the market. Another –important fact of this market, is that its support level has been located at 1.3065. The market is bearish, especially in the short-term. A “sell” signal has already been generated. This pair managed briefly to rally from the last week lowest price towards the distribution territory at 110.55. It made certain northward driving attempts but the bears’ presence made them abortive. There has been much stronger market driving strength possessed by the bears currently. The bullish market will briefly experience an up-rise in its movements over a short time a bit above the resistance level at 111.55 and will eventually allow a free fall of the pair past the accumulation territory of 110.50. But a strong break out above the distribution territory of 111.55 could lead to driving the pair further a bit above the distribution of 112.00. There has been a steady decline in the market of this pair since the beginning of this week. And, this declining state seems to be in a continuation of the last week. Being as it is, this currency pair has now been found surrendering easily to the bears each time they make a presence in the market. The bulls have only been making little ineffective efforts that the bears have been easy taking for a serious ride in their direction. This current bearish directional movement is expected to continue in the coming week. Though, a slight ranging movement cannot be overruled between the distribution territory of 130.00 and the accumulation of 129.00. The weaknesses of the GBP have made the JPY remained stronger in the market of the currency pair. Since last week, there have strong fall-offs in the market value of GBPJPY. It has strived to retrace towards the resistance level at 146.55. Thereafter, it resumed falling gradually southwards to encounter a support level at 145.20. The market price action may soon experience a range bound for a while. More bearish movements are still been expected to play out in this market as the horizontal line at 147.00 tends to remain the critical resistance level that the bulls are not expected to drive the market past easily in the next coming week..
Last week the Ethereum price was already in its sideways trend fluctuating between the levels of $480 and $440. The ETH price attempted to break the resistance level at $480 without success but the price has fallen to the low of $469.11. Today, the cryptocurrency will still continue its range bound movement. Trading becomes unnecessary because price has no direction. Meanwhile, the MACD line and the signal line are at par with the zero line which indicates a neutral signal. In addition, the price of Ethereum is neither below nor above the 12-day EMA and the 26-day EMA which indicates that price is in the sideways trend. The Relative Strength Index period 14 is level 50 which indicates that price is in the sideways trend zone. On the 1-hour chart, price of Ethereum is in a sideways trend. The MACD line and the signal line are at par with the zero line which indicates a neutral signal. The price of Ethereum is neither below nor above the 26-day EMA and the 12-day EMA which indicates that price is in a sideways trend. 1. Shop securely, transfer money anywhere in the world, access your funds instantly. Trusted by millions. 2. Pay online with confidence. You can trust Neteller for fast and secure online payments. 3. Send money – fast and secure. Send and receive money instantly and securely, anywhere in the world. 4. Instant deposits. Neteller makes paying online easy - even where debit and credit cards may not work. 5. Paying with Neteller is always instant, secure and free. For over a decade, Neteller has provided businesses and individuals with a fast, simple and secure way to move money online. As one of the world’s largest independent money transfer businesses, it processes billions of dollars’ worth of transactions each year. Trusted by merchants and consumers alike, their financial services span more than 200 countries across a broad spectrum of industries and businesses. 2. You will see a blurb/tab titled “Open a Neteller account and get rewarded” at the top of the homepage. You can also see it at the bottom of the website or on one of the sliding images. 3. 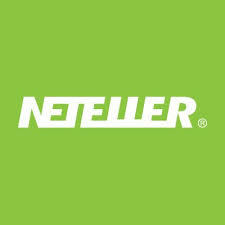 Just click on the blurb/tab, and you will be directed to where you can open a Neteller account. 4. Fill the form there, and there you are. Just ensure that the info you input is correct and can be substantiated with valid documents. Yesterday, July 25th, the price of Litecoin was range bound between the levels $90 and $80. As the LTC price fluctuates traders can trade the key levels of the market. For instance, we ought to have initiated a long trade at the support level where price reached the low of $80.83. and a stop loss below the support level. Then you take your partial profits near the resistance zone. In the same vein, when the price gets to the resistance level you take a short trade and a stop loss above the resistance level. Then you exit your trade near the support level. Meanwhile, the MACD line and the signal line are above the zero line which indicates a buy signal. Also, the price of Litecoin is above the 12-day EMA and the 26-day EMA which indicates that the bullish trend is ongoing. The relative strength index period 14 is 57 which indicates that price is in the sideways trend zone. On 1-hour chart, the price of Litecoin was in a sideways trend. On the 1-hour chart, the MACD line and the signal line are at par with the zero line which indicates a neutral signal. In addition, the price of Litecoin is neither above nor below the 12-day EMA and the 26-day EMA which indicates that the sideways trend is ongoing. Last week, the price Bitcoin was in a bullish trend and it reached the high of $7,313.14. Thereafter the cryptocurrency went into a sideways movement and later fell to the low of $7,230.93. On Saturday, July 21st, the price of Bitcoin had another bullish movement that took price to the high of $7,407.54. However, the MACD line and the signal line are above the zero line which indicates a buy signal. Also, the price of Bitcoin is above the 12-day EMA and the 26-day EMA which indicates that the bullish trend is ongoing. The relative strength index period 14 is level 75 which indicates that the market is overbought suggesting bears to take control of the market. Price of Bitcoin will reach the high of $10,000 but will face resistance at the $9,000 price level. On the 1-hour chart, the price of Bitcoin is in a bullish trend. On July 23, the price of Bitcoin fell to the low $7,363.29. The MACD line and the signal line are above the zero line which indicates a buy signal. Nevertheless, the price of Bitcoin is above the exponential moving averages which indicate that Bitcoin price is rising. Price made a bullish attempt on Monday, but started coming down afterwards. The support line at 1.1600 was tested and price bounced off it, closing above another support line at 1.1700. The market is neutral, and that status will continue as long as price oscillates between the support line at 1.1550 and the resistance line at 1.1800. However, the neutrality in the market will soon end, and ensuing movement could most probably favor bulls. This means a break above the resistance line at 1.1800 is possible before the end of the week. This pair also went downwards at the beginning of last week, and then rallied around the middle of the week, only to come downward again at the end of the week. Price closed below the resistance level at 0.9950, threatening to go further downwards. The bias on the market is eventually neutral, and it would remain so until the support level at 0.9850 is breached to the downside. The most probable direction is southwards. GBPUSD is a weak trading instrument. Since April 14, price has been going downwards. Price moved briefly below the accumulation territory at 1.3000, and then rallied by 170 pips, almost reaching the distribution territory at 1.3150. The bias remains essentially bearish (but perpetual bullish effort could threaten the bearish bias). There are additional distribution territories 1.3200, 1.3250 and 1.3300. After testing the supply level at 113.00 several times, a bearish correction was started, which made the price close below the supply level at 111.50 on July 20 (a drop of 150 pips). The bias is bullish in the long-term, but going bearish in the short-term. Things will go completely bearish when price moves further downwards by another 200 pips, reaching the demand levels at 111.00, 110.50 and 110.00, and going further downwards. The market had been going upwards since June 28 until recently. The recent bias is bullish but there is a high possibility of price going bearish. Price has made a bearish U-turn, after almost reaching the supply zone at 132.00. It is expected that price will continue to go downwards this week, thereby rendering the recent bullish bias invalid and reaching the demand zones at 130.00, 129.50 and 129.00. Those demand zones may even be exceeded before the end of July. There is a Bearish Confirmation Pattern in the market, as a result of a drop of 300 pips last week. The drop has already generated a bearish signal in the market, brought about by the perceived weakness in GBP, and the strength in JPY. This week (even till the end of July), the outlook on JPY pairs is bearish, and that means GBPJPY also will experience further bearish movement, which would enable it to reach the demand zones at 145.50, 140.00 and 135.50. What most of our customers don’t know is that they can deposit and withdraw money through us, as they trade with Instaforex.com. Instaforex.com has many millions of customers and withdrawal of funds may be slow in certain cases. Nevertheless, there is a huge solution to this, especially when you deposit money through us. We have been given an umbrella account by Instaforex.com, which is used to facilitate instant deposits and withdrawals through us. This can be done whether you open an account with us or not. If you make deposits through us, you don’t need to do any verifications before you can withdraw from us. Just tell us how much money you want to withdraw and give us your Naira account number. You will get your money directly into your bank account instantly. All we need to do this for you is only your MT4 login number (and nothing more). We cannot see your account, and we cannot access your account. All we can do is to do automated withdrawal for you, just because you request us to do that, and because you have initially deposited through us. However, if you order us to withdraw an amount that is more than what you deposited, we would be unable to do so. If you do not deposit through us, then you cannot withdraw through us. You can go to a section called “REAL ACCOUNT” and click on the link to open an account (after you have registered on our website). A short-cut to this is to click on the blurb/tab titled “OPEN AN ACCOUNT,” then you will be directed to Instaforex.com landing page, to open a live account there. 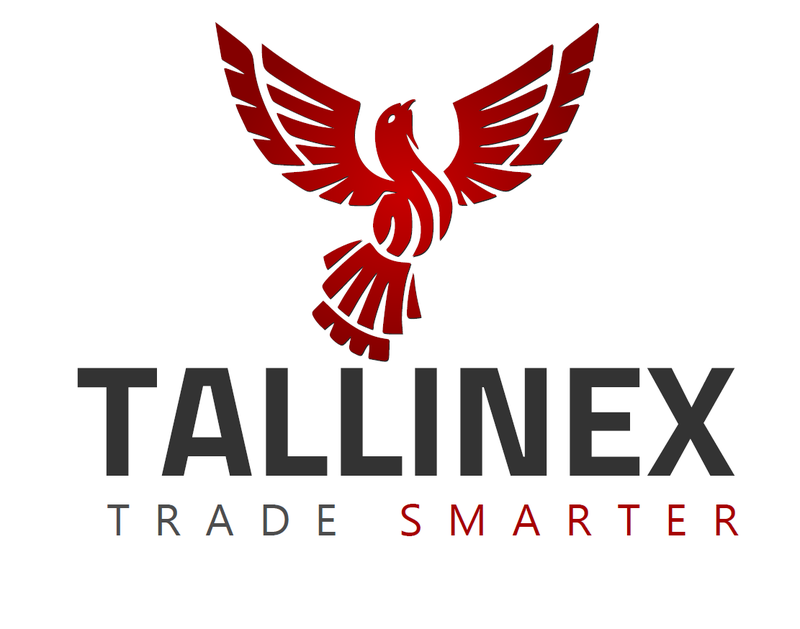 If you open an Instaforex.com or Tallinex.com account through us and deposit at least 200 USD through us, you qualify for a free one-on-one free Forex training with our manager. Please contact us for more information. Anyone that opens an Instaforex.com account through us, and fund it with a minimum of 20 USD, you qualify to be our VIP as long as you trade at least 0.01 lots (1 cent) per month. You buy at NETELLER N365/$ and sell it at N340/$. This is a real bargain and some customers are enjoying it. Yesterday, July 18th, the price of Ethereum was in a bullish trend. Yesterday, the cryptocurrency reached the high of $506 but price made a pullback to the low of $471.50. The cryptocurrency lost about 6% in yesterday's pullback. The Ethereum price has fallen back to the range bound zone of $480 and $$20. The relative strength index period 14 is level 53 which indicates that price is in the sideways trend zone. The cryptocurrency is likely to fluctuate within the range bound zone. Nevertheless, the MACD line and the signal line are above the zero line which indicate a buy signal. In addition, the price of Ethereum is above the 12-day EMA and the 26-day EMA which indicates the bullish trend is ongoing. On the 1-hour chart, price Ethereum is in a bearish trend. The MACD line and the signal line are below the zero line which indicate a sell signal. The 26-day EMA and 12-day EMA are above the price of Ethereum which indicates that the bearish trend is ongoing. Last week, the price of Litecoin was in a bearish and a sideways trend. The bearish trend commenced from the high of $83.90 to $75.08. Thereafter, the price went into a sideways trend. Today, the cryptocurrency is in a bullish trend. In a bullish market, traders are to buy low and sell high. Meanwhile, the MACD line and the signal line are below the zero line which indicates a sell signal. Also, the price bars of Litecoin are above the 12-day EMA and the 26-day EMA which indicate that the bullish trend is ongoing. The relative strength index period 14 is level 52 which indicates that price is in the sideways trend zone. On the 1-hour chart, the price of Litecoin is in a bullish trend. The price bars of Litecoin are above the 12-day EMA and the 26-day EMA indicating that the bullish trend is ongoing. The MACD line and the signal line are above the zero line which indicates a buy signal. In the long-term, the pair is bearish, and last week was bearish too. Price dropped by 140 pips, moved briefly below the support line at 1.1650, and then closed above it. This week, there could be a test of the support lines at 1.1650 and 1.1600, but they may not be broken to the downside because price has a high probability of going northwards, reaching the resistance lines at 1.1700, 1.1750 and 1.1800. Last week, owing to a sudden surge of stamina in USD, the pair skyrocketed, reaching the high of 1.0066. The test of that high is significant because the last time price reached that level was May 2017. Since the high of the year (1.0066) was tested, price has shown a sharp reversal, shedding 60 pips and closing at 1.0002 on July 13. Price might attempt to go further upwards, but it would encounter stiff opposition around the high of 1.0066. Even there will be stiffer opposition above the high of the year, like the resistance levels at 1.0150, 1.0200 and 1.0250. Movement towards the south may be more visible this week. In the long-term, Cable is bearish, and last week was bearish too. From the distribution territory at 1.3350, price dropped by 250 pips, and almost touched the accumulation territory at 1.3100, and then closed above the accumulation territory at 1.3200. This week, there could be a test of the accumulation territories at 1.3200 and 1.3150, but they may not be broken to the downside because price has a high probability of going northwards, reaching the distribution territories at 1.3250, 1.3300 and 1.3350. Last week was bullish. In fact, the market has been going upwards since March 26, and it has gained close to 800 pips. A clean bullish run has taken price towards the supply level at 112.50 and there is a lot of trading activity around that level, as bears are making attempt to effect a bearish reversal. There are demand levels at 112.00, 111.50 and 111.00. However, price could go upwards to reach the supply levels at 113.50, 114.00 and 115.00. This cross has become a bull market in the medium-term. Price gained 180 pips last week (it has gained over 650 pips since May 25), and managed to closed above the demand zone at 131.00. Short trades are not recommend in this market, owing to the Bullish Confirmation Pattern in it, and owing to the bullish outlook on EUR for this week and next. Price is thus expected to continue going upwards, reaching the supply zones at 131.50, 132.00 and 132.50. GBPJPY is a volatile market, though with a Bullish Confirmation Pattern present in it. This month has been bullish so far (the bullish movement started late June and it has been upheld till now). Having gained 500 pips since June 28, there is still much room for bulls to shine. This week, another 200 pips can be gained amid high volatility. Nonetheless, this does not rule out possibility of bears overpowering bulls along the way.